We are fortunate to have caring, helpful, efficient support staff here at the Chiropractic Center. They both have seen how chiropractic care here has helped their family members to be their best. 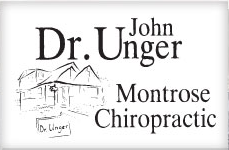 Lori has been with us since 2002, having previously worked in a long-established medical office here in Montrose. We value her work, and our patients comment on her friendly personality and appreciate her natural ability to handle their needs for getting care organized here. She has a background knowledge of what works well in meeting the needs of our patients. Bess became a welcome member of our team when she started here in 2012. Having had several years of experience in different types of medical billing, her skills are put to good use at our Chiropractic Center. From group health insurance to Medicare to Worker's Compensation to private pay patients, her attention to detail helps simplify the processes for us in returning patients to health and maintaining their health.